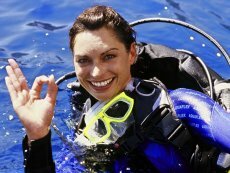 Byron Bay Dive Centre, your campus throughout the program, is a purpose-built facility on 1000m2 of land right in the heart of Byron Bay! and an ENTIRELY self-contained diver's lodge! 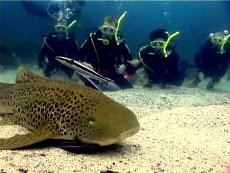 This means that you will improve your diving skills from a spacious, comfortable base with well-maintained equipment. 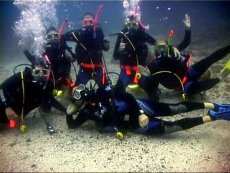 Further, Byron Bay Dive Centre regularly invests in the quality of the diving facility, the safety of the equipment, and finding the best diving instructors available. Your comfort and safety are assured! Byron is blessed with a unique distinction of the most easterly point of Australia, and it is at this point that tropical water of the Coral Sea collides with the nutrient-enriched water of the southern Tasman Sea. This special blend provides the perfect environment for tropical species to swim alongside more temperate-suited species.